CONTEXT: Usually stated by carriers who have partnered with one SD-WAN provider OR sometimes by a lazy agent who just wants the path of least resistance toward a commission check! The fact of the matter is that MOST new networks are not being designed to NEED private MPLS Clouds… This now gives customers flexibility in finding the least expensive last mile provider for every site – often helping them save 15% to 25% in our experience. NOC’s that are carrier agnostic are beginning to explode with growth and SD-WAN is making a lot of this possible! 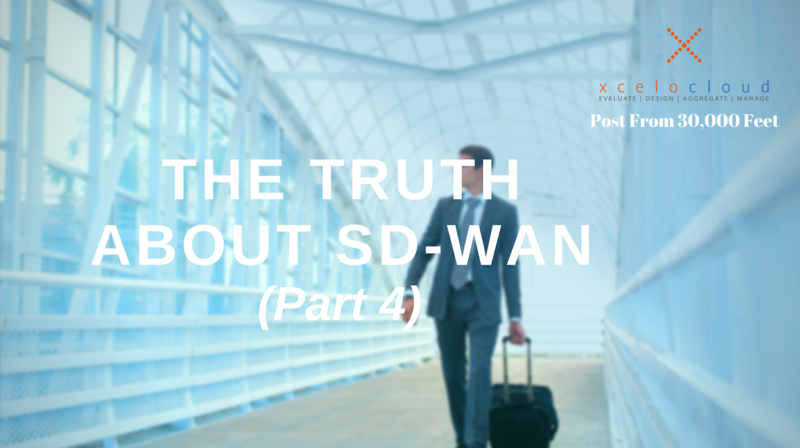 Additionally, when you procure your SD-WAN solution from a large carrier – three things often happen – 2 of them are bad! The good thing is that you can get it all on one bill (and we will table the discussion around the accuracy thereof for now…)! The challenges are that you often only get one choice in an SD-WAN Provider and next – you are locked into a contact that is bundled…meaning when you go to renew – you are less likely to rip and replace both aspects of your network – which means the renewal MAY not go well for you from a pricing perspective! Disclaimer: Xcelocloud is a leading SD-WAN/Network consultant to enterprise companies throughout the U.S./Globally. While we are technology and carrier agnostic, we do believe the software defined networking will, ultimately, gain the majority of all network spend market share over the next 2 to 5 years!